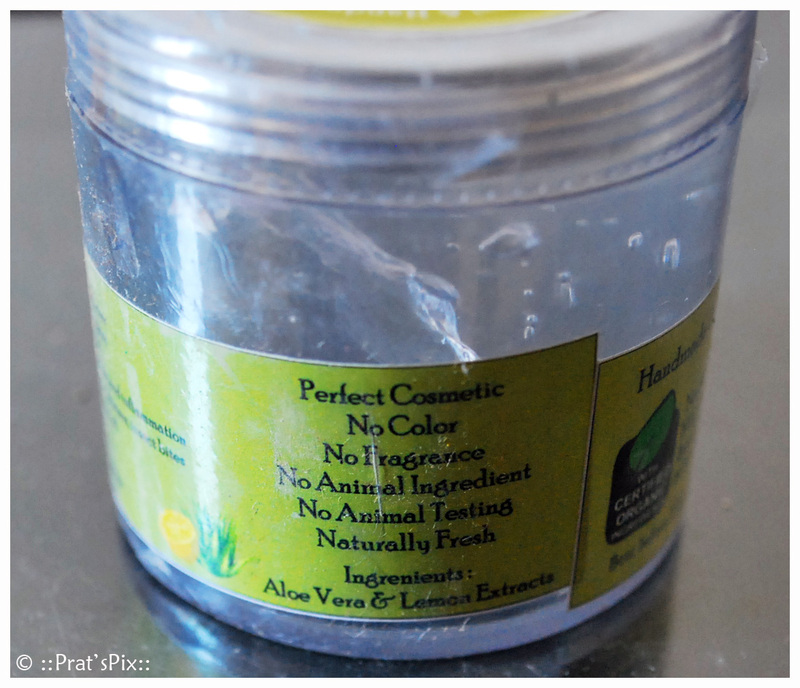 My hunt for organic and natural products introduced me to yet another brand. Rustic Art. A small note about the company. “Rustic Art is an effort to take you back to where you belong. Is there anything pure and rich today, you ask. We say, yes, there is. We bring to you everything hand crafted, natural and organic! The making of our products is an enticing journey from nature to you. Each of our creations is untouched by chemicals, machines, animal testing, animal fat and even artificial fragrances & colors. I bought the products of Rustic Art from Natural Mantra. I picked up a soap ( yes, yet again) and the Aloe Vera Gel. I love trying soaps as it is quite evident from my previous posts! This time I picked up just one soap ( I am eyeing the Coffee soap and the Baby soap for the next purchase!) My reviews on the products. This comes in a sturdy plastic bottle and you need to just open the lid and scoop out the amount of gel needed. I did not find it very expensive. It is a colourless gel that gets spread very evenly. It also gets absorbed very fast after application which is a plus point. I did not find it to be sticky as some other aloe vera gels. I use it for my dark circles and I have not found it effective on it as yet. Maybe a regular use will give me better results. However, I did use it for one of my twin boys who suddenly broke into a heat rash. Since the doctor did not want us to use any creams for the rash, I opted for the aloe vera gel and there was a marked difference in the rashes post 10 hours of application. I did use this gel two days in a row, thrice a day and the rashes reduced drastically. I am happy even if it did not lessen the dark circles, because I have found a product that suits the tender skin of my toddler! Will I recommend this product? : Yes, I would recommend this to anyone who has a toddler at home. I have not used this product continuously to see if it actually helps get rid of the dark circles and pigmentation. So I really will not comment on that aspect. Will I buy it again? : Yes, I will because I generally stock up on products that suit my toddler boys! Availability: You can buy these products online at Natural Mantra. 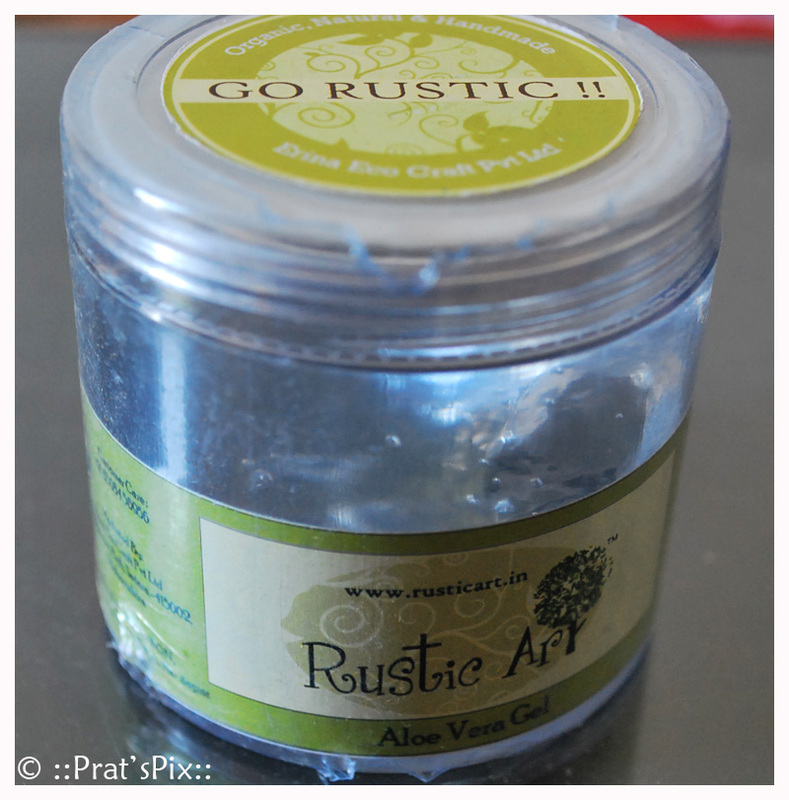 Rustic Art does not have their own online store as yet. Price and shelf-life: Priced at INR 150 for a 100 ml jar, this comes with a shelf-life of one year. My next post will be on the Rustic Art – Geranium Soap. Yes, This amazing product has tremendous effects no doubt!! But before buying keep in mind to buy cent percent natural products from an authenticated firm, to deny the adverse effects. Use it, it rejuvenate skin at a great extent! !